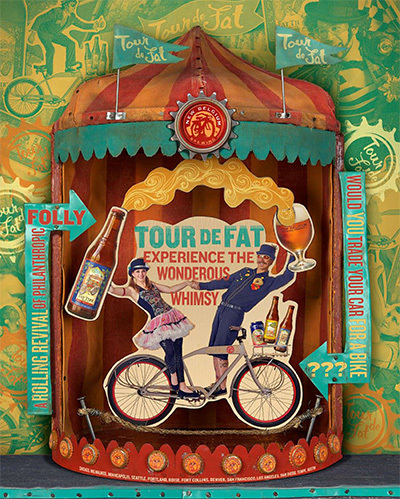 Every year New Belgium Brewing Company puts on the Tour de Fat, a travelling party celebrating the bicycle. This is the second year the Tour is coming to San Diego’s Balboa Park and it promises to be a good time. There will be a bike parade at 10am to start things off (get there early to register, and don’t forget to wear a costume). After that there will be some bicycle related performances and one person will trade their car in for a free bike and promise to ride for a year. Oh yeah, there will be beer too, this is put on by New Belgium after all. Posted by Jeff Hammett in beer previews, breweries, green flash brewing co.
Green Flash Brewing Co. is set to release their new Silva Stout tomorrow, Friday October 1st from 4-8pm at their tasting room in Vista. This limited release stout, a blend of fresh Green Flash Double Stout and Double Stout aged in oak bourbon barrels for seventeen months is only available in four packs at the brewery during their normal tasting hours. Green Flash’s Double Stout is often over looked (in my opinion) for some of their hoppier beers, but it is an excellent double/imperial stout and I’m looking forward to this barrel aged blend. 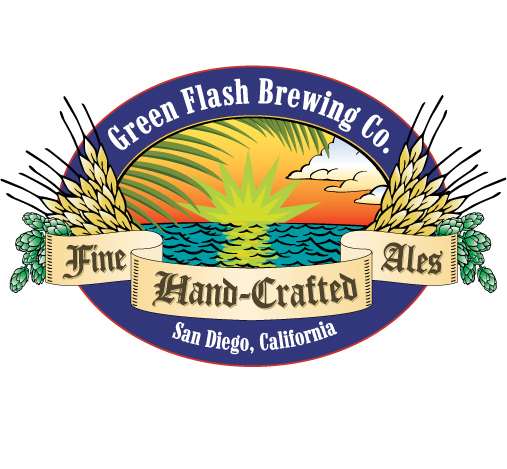 The Green Flash Brewing Co. tasting room is located at 1430 Vantage Ct. Vista, CA 92081 and is typically open Friday 4-8pm, Saturday 12-5pm and Sunday 12-4pm. Below is the email from Green Flash with a bit more info. Kern River Brewing Company’s Just Outstanding IPA is named after a mountain bike trail of the same name near the brewery in Kernville, CA. If there’s one thing I like as much as craft beer it would be cycling. And while I haven’t gotten a chance to ride Just Outstanding yet, after watching that video it’s high on my list. 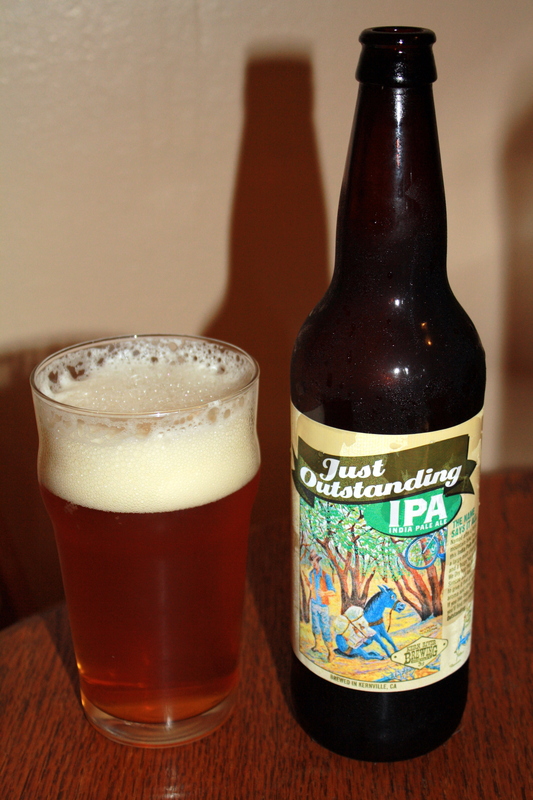 At 6.8% ABV Just Outstanding is just on the border of the IPA/DIPA split but drinks very easily. Dry hopped with Simcoe and Amarillo hops it has a nice citrus and floral aroma, I don’t pick up much pine from the Simcoe hops. It’s hot here in San Diego right now, so I made the mistake of trying to drink this far too cold. The first sip was not a good representation. I let it warm up a bit before drinking more and was glad I did. It has a good citrus hop flavor balanced by sweet caramel malts. It’s far less hoppy than I expected, neither the hops nor the malts overshadow the other. Hopheads looking for the hoppiest IPA might be disappointed, but Just Outstanding is a very balanced and drinkable beer, one I look forward to drinking more of at the brewpub in Kernville after a long day of riding the nearby trails. Posted by Jeff Hammett in breweries, green flash brewing co.
Green Flash Brewing Co. in Vista has plans to move south to San Diego proper, just off Mira Mesa Blvd. I read this on the always good, but infrequently updated Beerandburrito’s Weblog but additional details were sparse. Melodee at Green Flash confirmed that they have begun construction on a new brewery off Mira Mesa Blvd. in order to increase capacity and meet demand and are currently slated to be brewing out of the new facility in just under a year, September 1st, 2011. 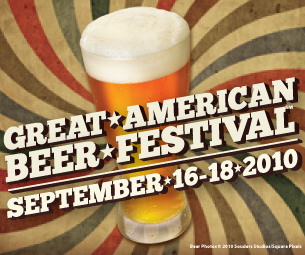 Green Flash will be in good company here joining Karl Strauss, Hess Brewing Co., Alesmith, and Ballast Point in the Sorrento Valley/Mira Mesa/Miramar/Scripps Ranch areas. This will add another option to what is already a pretty easy brewery tour about 15 minutes north of Downtown San Diego. Stone Brewing Co.’s Stone Smoker Porter with Vanilla Beans is a beer I’ve wanted to try ever since hearing about it over a year ago. But being a limited release brewery only beer I didn’t get a chance to try it until recently. When I noticed it on the tap list while dining at the Stone Bistro a few days ago it was the first beer I tried to order, sadly I was told the keg had run dry. 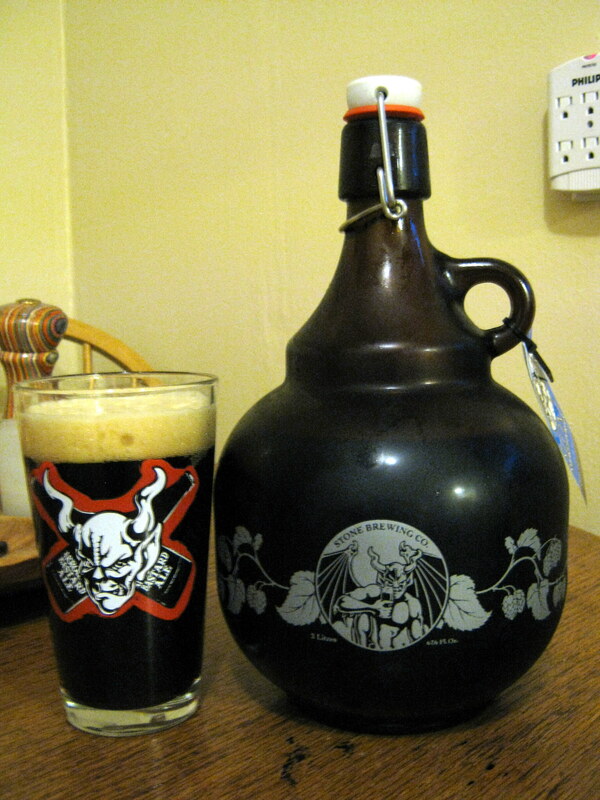 Lucky for me they had it available for growler fills in the store, so I picked one up on the way out. And since I came home with 2 liters, rather than just enjoying a pint at the restaurant, I’m happy to say it’s damn good. Stone Smoked Porter with Vanilla Beans is the creation of Stone brewer Laura Ulrich. It pours a dark brown, it looks opaque until you hold it up to the light and can see that it’s more of a ruby-tinged brown as it lets the light through. The thick tan head dissipated fairly quickly as I let the beer sit in the glass and warm up a bit. From the smell alone I was a little worried, I don’t have a regular Stone Smoked Porter here to compare it to, but the smell tells nothing of the vanilla beans. There might be a hint of something sweet in the aroma, but I wouldn’t guess vanilla, and it could easily be the power of suggestion, it’s that mellow. The lack of vanilla changes immediately with the first sip. A rich taste of vanilla is the first thing I tasted. A slight smoky bitterness comes in, followed by more vanilla and a slightly bitter aftertaste. There isn’t much hop flavor or bitterness, which is perfect in a beer like this as it allows the vanilla to stand out. The regular Stone Smoked Porter is 5.9% ABV and I don’t expect this would differ too much. It’s easy to drink and the rich vanilla isn’t overpowering although I stopped after drinking one pint. It seems like an excellent beer to pair with dessert. Stone blogged about the origins of this beer a while back on their blog, click here to read that post. Ray Daniels is well known in the beer community. Author of the book Designing Great Beers, he’s a well known beer judge and senior faculty member at the Siebel Institute of Technology. He’s also the founder of the Cicerone Certification Program. The Cicerone Certification Program is a three level certification for beer industry folks to show that they know what they’re talking about when it comes to beer. From various flavors, styles and brands to proper storage and serving techniques, the Cicerone Certification Program covers much of the beer spectrum. There are three levels of certification. The first is “Certified Beer Server”, an online quiz which must be passed with at least 75% correct answers. It covers popular beer styles and beer culture, beer tasting and flavors as well as the brewing process and beer ingredients. The next level is the “Certified Cicerone”. Certified Cicerone’s must have already passed the Certified Beer Server test and have a year’s experience in the beer industry (or a recommendation from someone in the beer industry. This test includes both an in person written test and a beer tasting test. The skills needed build upon those in the Certified Beer Server test and include indentifying off flavors in beer and the ability to recommend beer pairings with common foods among other skills. The last level is the “Master Cicerone”. This highest level Cicerone Certification is not to be taken lightly. It requires mastery of all areas covered in the Master Syllabus. As of this writing there is only one certified Master Cicerone. Ray Daniel’s wrote a short article on the CraftBeer.com blog called, “Blowing your Credibility as a Beer Expert”, and while it’s not Cicerone specific, it does cover many common mistakes bars and restaurants make that are almost certainly covered in the Cicerone program. Locally, Neighborhood in the East Village has made it a point to get all of their staff Cicerone Beer Server certified. Craft and Commerce in Little Italy (which shares an owner with Neighborhood) is currently working on getting their staff certified. We checked with Daniel’s to see if he could verify this and he said that certifications are granted to individuals not entire establishments, but that bars and restaurants around the country have pursued widespread certification for their entire staff, so he couldn’t say if an entire staff was certified, but we’ll take Neighborhood at their word. Know of any other San Diego bars or restaurants making an effort to get their staff certified? Leave a comment below. Click here to check out the Cicerone website for more info about the program. The SD Park 2 Park shuttle isn’t running on a regular basis any more, but that seems to have freed them up to organize special events and tours. Saturday October 23rd they’re teaming up with a couple local businesses to do a beer tasting and homebrew demonstration. For $35 they’ll pick you up at one of their designated stops and take you to Blind Lady Ale House where you’ll be guided through a six beer (5 oz. each) tasting by Blind Lady co-owner and Automatic Brewing Co. brewer Lee Chase. Pizza will be served and then you’ll all hop back on the bus to head to Homebrews and Gardens for a homebrewing demonstration. All participants will get 15% homebrew supplies during the event. This event is still a month away, but according to the Park 2 Park blog they have already sold 5 out of the 25 seats (maybe more now). If you’re at all interested in homebrewing this would be a great way to get an overview and discounted supplies, as well as a beer tasting with one of San Diego’s beer elite. Click over to the Park 2 Park site to purchase tickets.